The historic walled town of Beaune is famous as the wine capital of Burgundy. 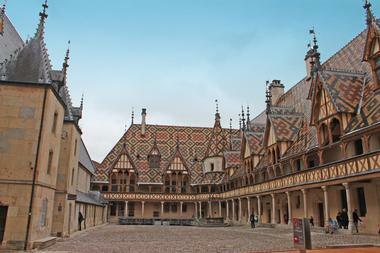 Visitors can tour the Burgundy Wine School, the Maison des Climats and the Burgundy Wine Museum. There is plenty to please the historian and architecture enthusiast in the town. 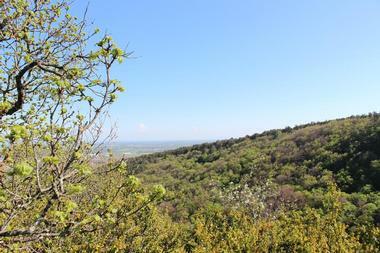 The best way to appreciate all the region has to offer is to take a slow drive along the famous Route des Grands Crus. 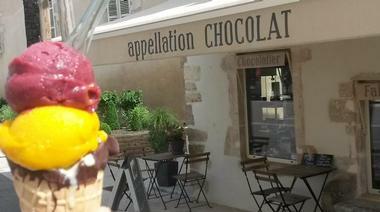 For a change of pace from wine tasting you can make your way to Appellation Chocolat which is located in the village of Pommard, which is ten minutes from Beaune. Here you can learn everything you ever wanted to know about chocolate from husband-and-wife team Michel and Béatrice Dessolins, who believe that their artisan chocolates are every bit as complex and delicious as a good Burgundy wine. At their shop in Pommard you will learn how the origins of the raw cacao influences the final product, see the wonderful chocolate being made from scratch (using the purest raw cacao) and then enjoy a chocolate tasting to find your favorite. Based in the city of Beaune, Authentica Tours offers you the opportunity to discover and taste some of the best wines in the world without having to worry about a designated driver. Not only will you be driven from vineyard to vineyard in luxury, but you will also have the services of your own personal English-speaking wine expert to guide you in your search for the best Pinot Noir and Chardonnay on offer. When you book a private or small-group tour with Authentica Tours you can access private tastings and small family-owned wineries, learn all about the wine-making process from vineyard to tasting room experience wine and food pairing. 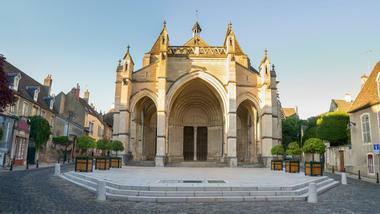 You will be able to hear the chiming bells of the Basilica of Notre-Dame throughout the town of Beaune. The Burgundian-Romanesque Basilica dates back to the 13th century and features interesting architectural styles including Romanesque, Gothic and Renaissance. The church is best known for an impressive collection of 15th century tapestries which depict the life of the Virgin Mary. Although entry to the church is free you will need to pay a small amount to see the tapestry collection. The basilica has several very beautiful stained-glass windows which fill the smallish interior with lots of light and if you are lucky enough to visit at the right time you may hear the pipe organ being played. At the Beaune Cote Plage outdoor enthusiasts can enjoy a relaxing day of swimming, sunbathing, picnicking and fishing just minutes from the center of Beaune. This open-air leisure complex is unique in that the four swimming pools are completely free of chemicals and only use naturally purified water which has been biologically filtered through regeneration ponds. The four natural ponds are surrounded by acres of lawn where you can soak up the sun. 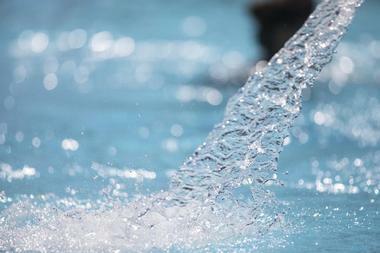 Besides swimming you can try the aquatic climbing all, the water slide and the various diving boards. If you enjoy fishing you can try your luck at one of 12 well-stocked fishing ponds. For almost three centuries Bouchard Père & Fils (Bouchard father and sons) have been producing wine at their Burgundy vineyards and winery in Beaune. No visit to this remarkable wine region of France would be complete without visiting this historic winery to learn about their precision wine making. 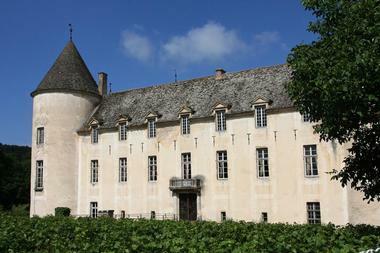 Bouchard Père & Fils are headquartered in a former Louis XI fortress which the family acquired in 1820. The largely-intact building is a national historic monument which today houses deep underground cellars where the famous wines are matured. You can visit the Cave du Chateau (within the fortress) to learn all about their wine production and enjoy a tasting and private tastings of special vintages are also available by appointment. 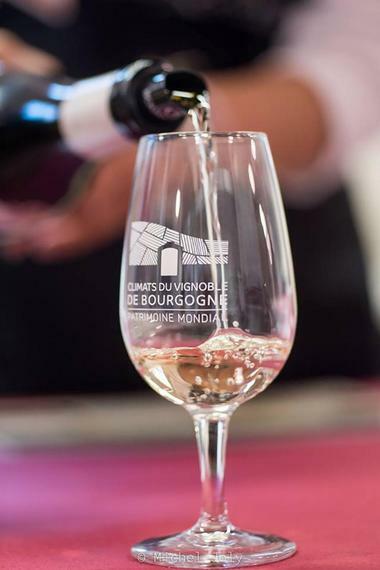 You can deepen your knowledge and appreciation of the complex wines of Burgundy by attending one of the four wine programs on offer at the Burgundy Wine School in Beaune. 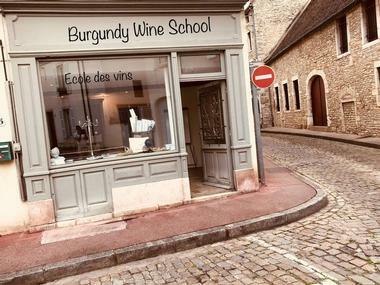 The wine school is located on a typical cobbled street within the walled old town and is open all year round to educate and fascinate wine enthusiasts. You can choose to attend the school for a short 90 minute course or go all-out and spend a full eight hours (spread out over two days) learning about the brilliant wines of the region. Courses include the history of the region, the importance of Terrior (all the factors that influence the final product) and, of course, tasting. 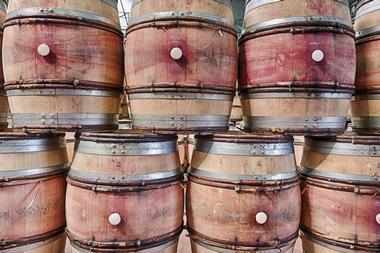 The longer courses include visits to all the major wineries in the region. 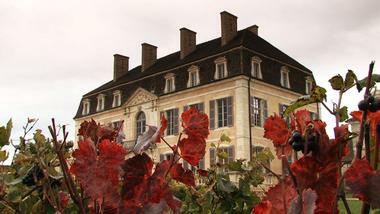 Founded in 1726, Chateau de Pommard is one of the oldest and largest wine producers in Burgundy. Here in the heart of France’s wine growing capital, the Chateau offers visitors the chance to learn all about the wines of the region at their Wine Experience Center. Depending on what you would like to learn about you can join one of their Chateau experiences; the Wine Experience will teach you how to taste wines, the Climats Experience will enlighten you about the importance of Terrior and the Gourmet Experience will teach you about pairing food and wine. 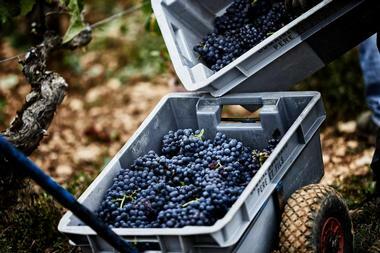 Finally, you could sign up for the Wine Harvest Experience, where you get the chance to hand-pick the new season’s crop. Another of Burgundy’s gems, the stately old Chateau de Savigny les Beaune stands overlooking a superb 12-hectary property. The beautiful old stone chateau was originally built in 1340 and there are amazing cellars dating to the 14th and 17th centuries filled with barrels of maturing wines. Today the chateau is also the setting for a rare collection of vintage aircraft, motor cars and motor cycles which you can admire as your tour the property. In addition, there are also several old straddle tractors and fire engines on display. You can stop by for a wine tasting after you have strolled around the large outdoor museum. Alain Hess has followed in the illustrious footsteps of his father and grandfather, who have been cheese makers for several decades, and is now the master cheese-maker at the Alain Hess Cheese Shop in Beaune. 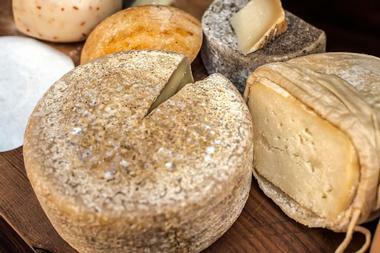 Foodies and gourmands will love this delightful emporium of cheese where you will be able to taste and buy unique, one-of-a-kind cheese creations like his distinctive Delice de Pommard, Truffled Royal and wonderful Port-refined Stilton. Slowly the shop has evolved to be a one-stop gastronomic paradise stocking not only a very wide variety of cheeses but also a range of cured sausages and meats together with delicious Burgundy wines to accompany them. The superb Burgundy region of France has so much to offer visitors but many will leave having only just scratched the surface. Detours in France offer you the chance to delve a little deeper as you join one of their self-guided walking and cycling tours which can be customized to your tastes and fitness levels. Hikers and cyclists can set their own pace and enjoy the wonderful scenery as they follow a customized GPS tour which can be downloaded to a smart-phone. This is the ideal way to enjoy the remarkable scenery as well as the brilliant wines and foods of Burgundy and get some great exercise to work off all those extra calories. The company will take care of all details, book your hotels and transfer your bags. 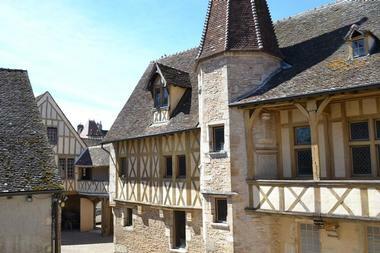 One of Beaune’s most distinctive and impressive historic buildings is the Hospices of Beaune, a hospital built for the poor in 1443. The building has been beautifully preserved and offers a rare glimpse of the distinctive architecture of the Middle Ages. The historic building has a very distinctive patterned tile roof and inside you will find the great “Hall of the Poor” which has a beautiful painted ceiling, a Gothic chapel with a distinctive alter piece depicting the Last Judgment and a lovely old pharmacy filled with ancient earthenware and pewter containers. You will also be able to view an excellent collection of 16th century tapestries. La Manufacture Beaune is a unique arts and crafts store which sells a wide variety of one-off arty creations made entirely out of recycled paper and wood (from sustainable forests, of course). You can expect to find all kinds of amazing items on sale including creative kits to keep adults and children busy for hours as well as 3D trophies, animals and more. 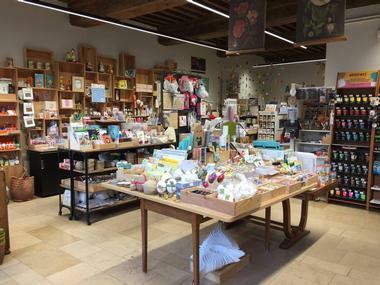 In addition to their range of paper creations the shop also stocks everything you could desire to satisfy your creative side including paints, brushes, pencils and art papers, all kinds of creative ribbons and tapes and blank greeting cards which you can personalize. 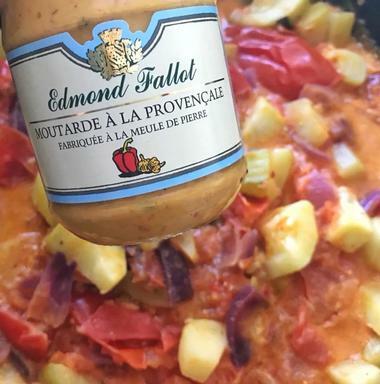 The historic Fallot Mustard Mill has been producing superior Burgundy mustard and oils since 1840 and was bought by the Fallot family in 1928. Since then there have been a number of improvements and innovations to bring the factory into the 21st century, but the importance of the original essential grinding stones has never been forgotten. You can join the Discovery Tour and the Sensational Experience Tour to find out exactly how your favorite condiment is crafted from seed to bottle and see some of the historic mustard-making equipment. At the end of your tour you get the chance to taste a wide range of delicious condiments which are available for purchase. There is no escaping fine food and wine in Burgundy and if you have always wanted to learn how to cook fantastic French cuisine, The Cook’s Atelier is the answer to your dreams. This delightful family-run business is located in the heart of historic Beaune and offers enthusiastic cooks the chance to join a one-day or five-day (in-depth) French Cookery School so that you can impress everyone at home with authentic French cuisine. 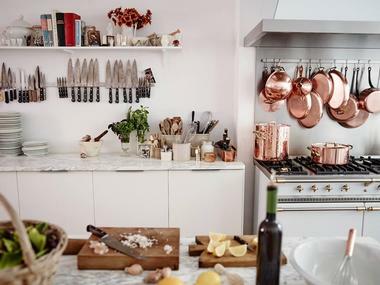 Even if you do not have time to attend a cookery course you will gain inspiration and enthusiasm from visiting the Atelier, where a specially curated collection of beautiful French cookware, knives, pans, linens and flatware is available. You could be forgiven for thinking that the Maison des Climats has something to do with meteorology and the climate in Burgundy, but in this part of France Climat refers to more than just the climate but includes other factors which together make up the Terroir of each of the 1247 vineyards in Burgundy. Weather certainly plays a part, but so does the slope of the land, the direction it faces and many other factors. On your visit to the Maison des Climats you start by watching a video telling the story of the Climats before moving on to study a large model of the vineyards and the 3D digital mural. You will have access to a tablet to browse the digital media library – a must-see attraction for all wine connoisseurs. Free entry. A visit to the Wine Museum of Burgundy will enhance your appreciation of the many factors which contribute to the production of fine Burgundy wines. 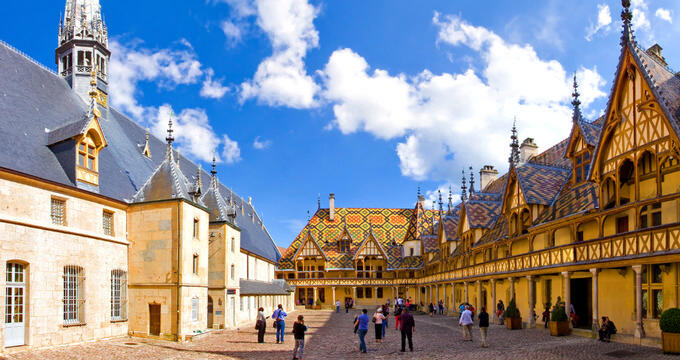 The museum is located in a very special historic building which was once the opulent residence of the Dukes of Burgundy and is worth a visit in its own right to admire the historic architecture. Inside the museum you will find an excellent collection of wine-related tools and art which showcase the progression of Burgundy viticulture from antiquity to the present day. You can expect a modern facility with many video presentations to help you understand the importance of Climats in Burgundy, an aroma room and a family-friendly quiz to end the tour. The Museum is open from April to October. When you need a (brief) break from all things food and wine related, consider spending a few hours at the water-themed Bouzaise Park which is located just minutes from Beaune city center. The park was gradually developed around a natural spring which feeds a lovely lake and now offers a peaceful forested park for walking and relaxation. You can take a stroll along the many pathways, visit the little kiosk for a coffee or an ice cream or just relax on the lawns and watch the resident birds. There is a small children’s playground and a petting zoo. If you need some exercise this is a good spot for a scenic jog. 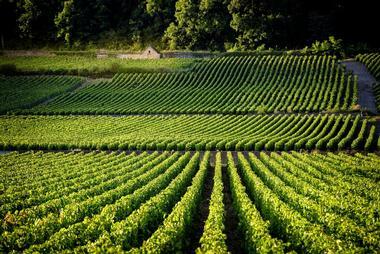 The famous Route des Grands Crus attracts thousands of wine enthusiasts each year, many of them returning year after year to delight their senses with beautiful old Burgundy villages and some of the best wines in the world including no less than 24 of Burgundy’s Grand Crus. The wine route is just 60km long and passes through some of the region’s most prestigious vineyards between Dijon, Beaune and Santenay. As you drive along the route you will pass over thirty little villages, each quintessentially Burgundy, with stone-walled cottages, tiled roofs and the inevitable Gothic or Romanesque church. 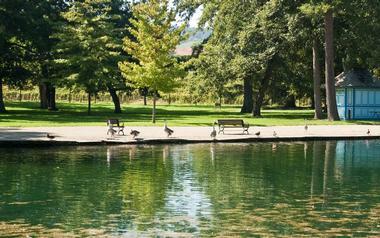 This is a route that every wine lover should endeavor to tour at least once in their life. 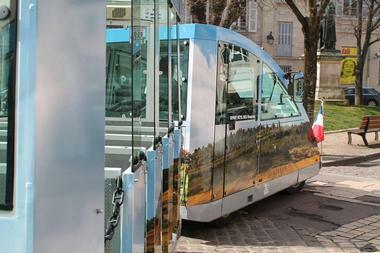 If you have limited time available to find out all about the beautiful walled city of Beaune, the Visiotrain could be an ideal way to discover the town’s history, culture and secrets. The mini-train journey takes around 40 minutes and will take you to see all the most important historic sites with a multi-language audio guide. You will learn about the history of the famous Hospices of Beaune, the Basilica of Notre Dame, Lion’s Square and the Bridge of the Geese, among others. There is no need to book and there are frequent departures (about every 45minutes) throughout the day. You can buy your tickets and board the train directly in front of the Hotel Dieu.